A 'shilling shocker' from the late 19th century, a macabre novel of murder and its consequences, originally published as a Christmas Annual for adults and now reissued complete with a hilarious parody by satirist Andrew Lang released the same Christmas. In the eyes of the law, murder is murder. When Dr North discovers that his beloved Philippa - surely the most beautiful murderess who ever crossed the pages of fiction - has killed her abusive husband, he must decide whether to turn her in or take the law into his own hands. There are dark days ahead as he wrestles with his conscience: can a crime ever be justified? And is Philippa the villain or the victim? 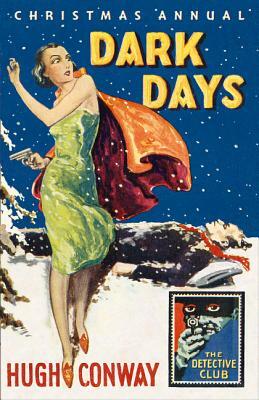 Combining the thrills of the Penny Dreadful with the melodrama of the Sensation Novel, Hugh Conway wrote some of the most successful Christmas crime stories ever published. Dark Days followed his enthralling Called Back as a Christmas Annual, published just before his untimely death ended a writing career of only four years, robbing the world of one of the most popular detective writers since Wilkie Collins. This Detective Story Club Classic is introduced by David Brawn, and includes Much Darker Days by Scottish writer, critic and satirist Andrew Lang, a hilarious retelling of the story which sold almost as well as the original.